Local man caused a public tram transportation to stop in most of Pilsen on Saturday morning, when he accidentaly drove into the tracks. That wouldn't be so bad, if the tracks hadn't pierced his tires. 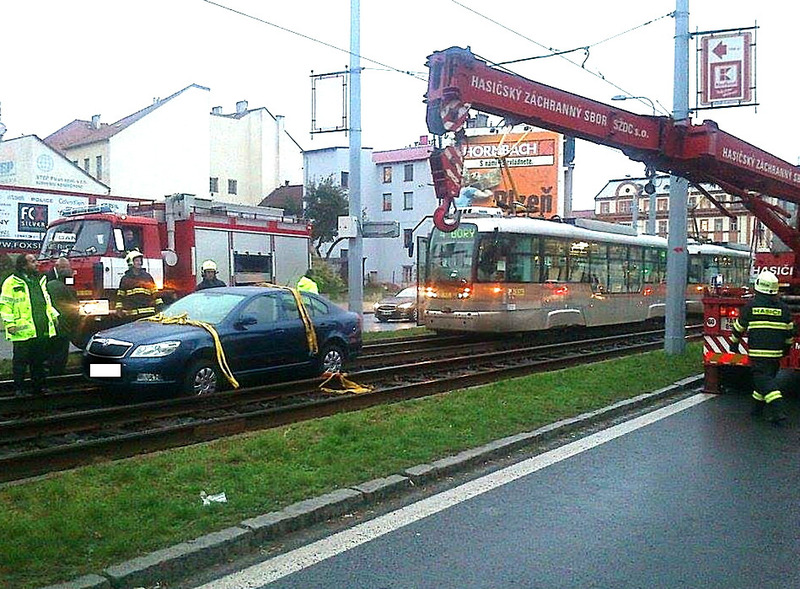 Luckily the driver wasn't hurt and neither were any of the tram passengers. After almost an hour of stopped transportation a crane took the car off the tracks.